Friedrich Holderlin's translations have long been seen as some of the most fascinating ever made, so radical and unconventional that they have altered our ideas of what translation is. Based on a close study of the versions of Pindar and Sophocles, and placing Holderlin's practice in its 18th-century context, this book explores the meaning of translation for Holderlin's work as a whole, devoting particular attention to the poetry. 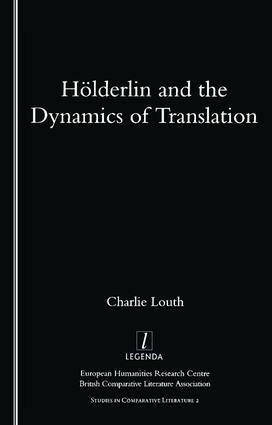 The author draws links between translations, individual poems, essays and Holderlin'a working techniques, and suggests that translation, both as figure and practice, is at the centre of Holderlin's imaginative world.